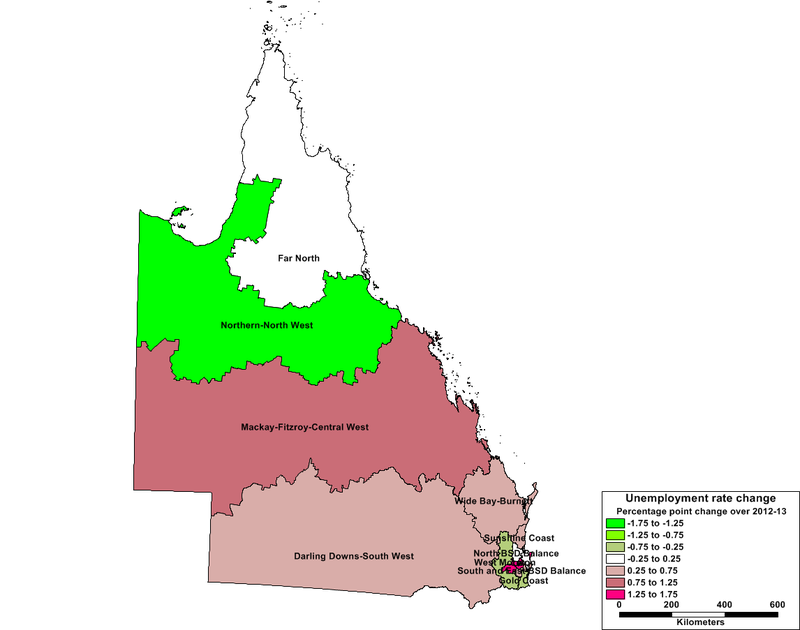 I’ve mapped the changes in regional unemployment rates over 2012-13 (based on Queensland Treasury’s briefing on yesterday’s ABS data) in the maps below. 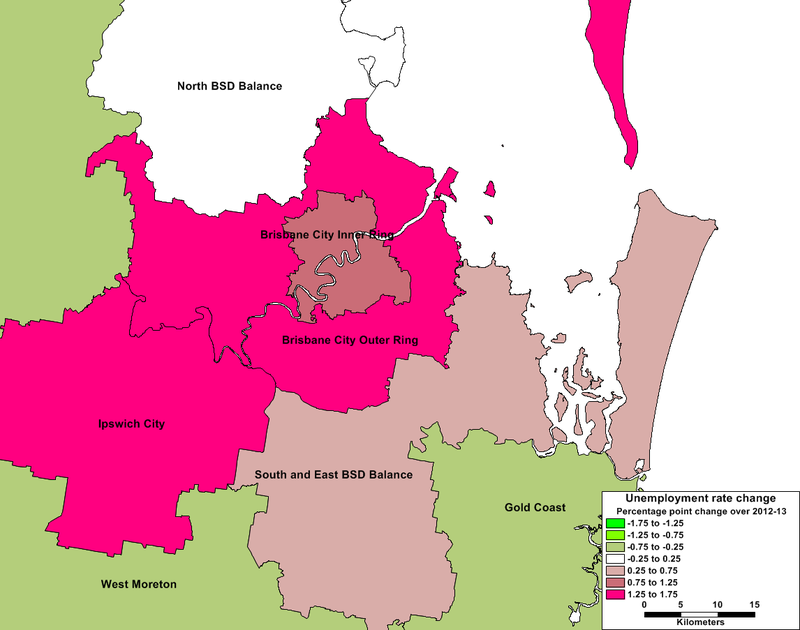 The largest increases in the unemployment rate are in metropolitan Brisbane, related in part to public service cuts I expect, and Central Queensland, possibly associated with a slowing resources sector. Note that the change over 2012-13 refers to the change in the unemployment rate between June 2012 and June 2013. This entry was posted in Brisbane, Labour market, Mackay, Mining and tagged abs, brisbane, centralqld, qld, qldtreasury, queensland, regionalunemployment, unemployment, unemploymentrate. Bookmark the permalink. That result for North -NW is still the one that sticks hardest! If there was any region which has displayed an inexplicable anomaly in recent years it was that! Agreed, possibly due to small sample size.